Welcome to the web site for the 2008 Cyber Trust PI Meeting. 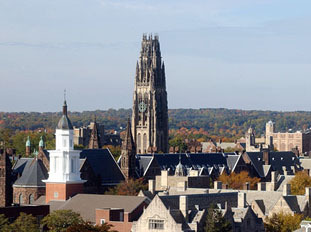 The 2008 NSF Cyber Trust PI meeting was held at Yale University in New Haven, CT. Please follow the Agenda link above to obtain a program and, where available, copies of the presenters' slides. Please follow the Accommodations and Travel link above for hotel information. Please follow the Posters link above to view the posters supplied by participating PIs. Please follow the Reimbursement link above for travel-reimbursement forms and instructions. Requests for reimbursement must be submitted by April 30, 2008. Event locations on an area map can be found here.